“No shoes, no news”, or so goes the policy of the Gili Lankanfushi Maldives. Located at Lankanfushi Island, North Male Atoll, in the Maldives, this clustered but mighty hotel instructs its visitors to remove their shoes and embrace their inner castaway. Tom Hanks is nowhere to be seen, though. A popular destination, especially for Russian tourists, the Gili is relaxed, modern, and tropical in architecture. Surrounded by sun, sea and sand, the Gili offers the ultimate escape from hectic civilization and into the calm of the Indian Ocean. Made up of 1,190 islands formed from coral reefs, the Republic of Maldives, where the Gili is situated, sits just north of the Equator. This bestows the locale with a year-round tropical climate. The resorts are only accessible by private boats. 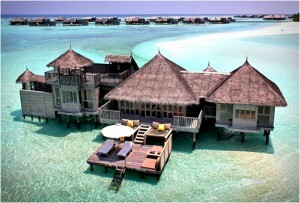 The hotel is within easy reach of Gili Lankanfushi Beach, Paradise Island Beach, and Dhonveli Beach. This resort has its own private white sand beach. Other area attractions include the Full Moon Beach and Banana Reef Dive Site. Transport from the airport is available, at a surcharge. A smoke-free property, the Gili Lankanfushi Maldives offers many amusements and services to its guests, including: direct access to a private beach; beach umbrellas; gift shops and newsstands; express check-in/check-out; picnic area; beach sun loungers; a 24-hour front desk; a library, and a garden. The hotel carries out wedding services. Bellhops and porters are readily available. The staff is multi-lingual. Room service is on hand, but the hours it can be requested within are limited. There are five restaurants and they only serve dinner. Over Water Grill: This daily restaurant sits beside the ocean. Reservations are required. 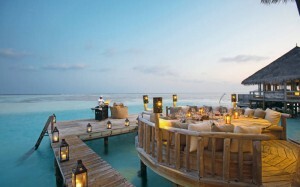 The hotel also presents guests with barbecue grills, a poolside bar and a surcharged breakfast option. Being on a small island, the Gili is far more minimalist in recreation, and in that respect, the very few non-tropical options are an arcade room, a tennis court, and fitness facilities. Also on-site are the activities most people seek when they visit the Gili: kayaking, tennis, beach volleyball, boat tours, windsurfing, beach yoga classes (with instructions on-site), rowing or canoeing, sailing, scuba diving at the coral reef, and snorkeling. The Meera Spa has 6 treatment rooms, including special rooms for couples. 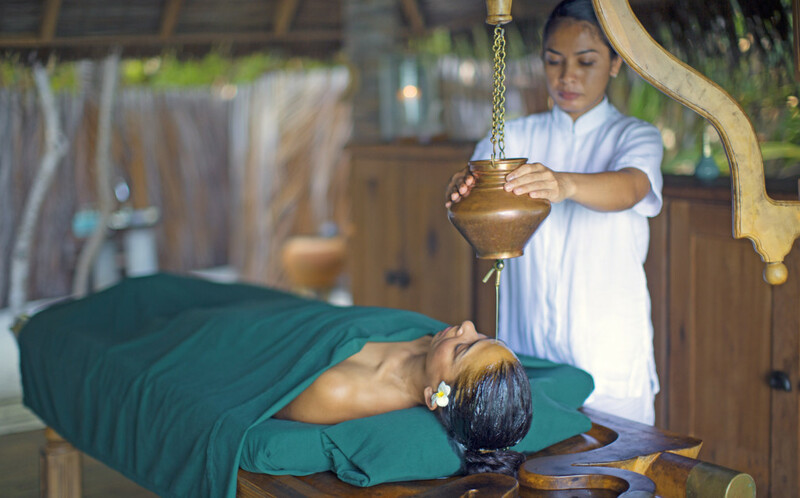 Services on-board include massages, facials, body wraps, and body scrubs. The spa features a sauna. 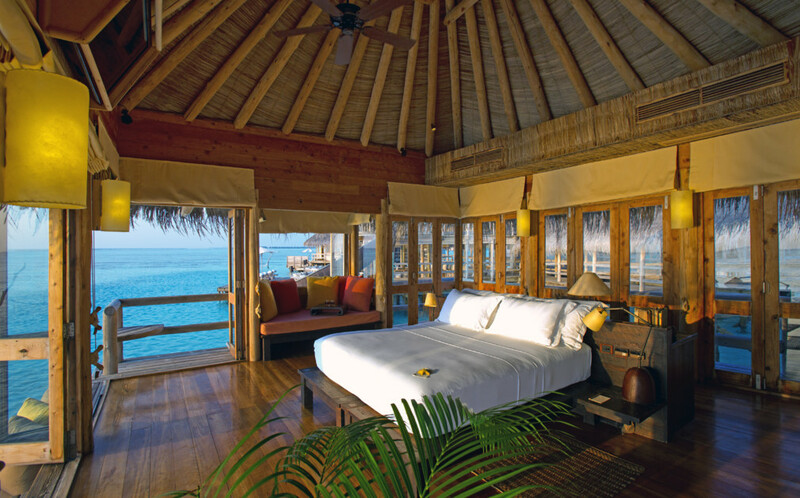 There are 45 ‘rooms’ at the Gili Lankanfushi Maldives, and by rooms, we mean structures. These are the equivalent of miniature holiday homes. Each guest or group of visitors are welcomed by a “Mr Friday”, their own personal butler. The rooms are laden with a patio, a separate living room, and autonomous dining room. A ceiling fan decorates the top of the room, itself a lighter alternative to the air conditioning (which is also available). The routine amenities are all here: TV with satellite channels and DVD player; slippers and bathrobes; coffee/tea maker; espresso maker; minibar; desk; sofa beds; complimentary bottled waters, and much more. Free Wi-Fi and wired Internet connections are on offer. The location at the coral reefs is spectacular. The “Mr. Friday” concept is intimate and extremely helpful. Villas (rooms) are large and discreet. The bicycles to get around with are a fun and clever idea. The wealthy Russian tourists have been described as being very loud when they host parties. The Japanese restaurant is reported as not authentic. Not for the general holidaying crowd. The Gili is more appropriate for wealthy couples and young people. The property requires that you at least spend 7 nights minimum when you book. 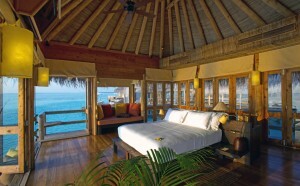 Example for 1 night: £4,878 (2 adults, 1 child/infant), through Expedia.